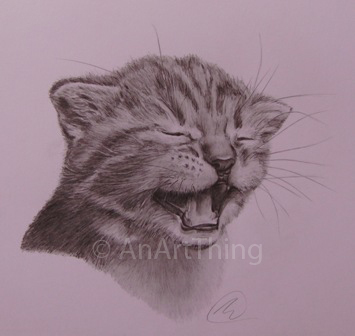 This drawing of a kitten was completed in approximately 10 hours, using Faber Castell 9000 5H, 2B and 6B. Thank you to Alex D for the use of the original photograph. Cute! Great work on the details!